Physiotherapy is extremely effective in managing acute back pain and most importantly is effective in preventing a chronic lower back problem. Because we understand biomechanics and can relate your mechanics to your injury while treating it – by how easily it flares up, the protective muscle spasm or muscle inhibition - we can identify and teach you how to safely and effectively change your mechanics. 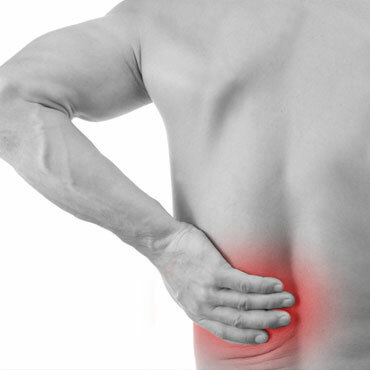 Pain that has its source in the lumbar spine does not necessarily cause lower back pain but rather buttock pain, groin pain, thigh pain, knee pain, calf pain and even foot pain. Muscle spasm and trigger points. Acute disc injury (“slipped disc”). Poor posture and work station set- up (ergonomics). Pain down leg (with or without lower back pain). Pins and needles into leg. Unexplained weakness in lower limbs. Pain which wakes you up at night.